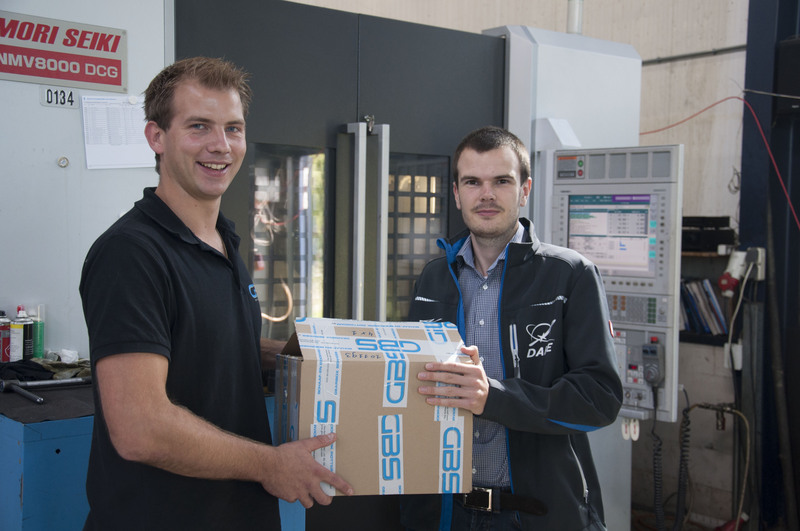 Three beautifully crafted parts were made by GBS Gearbox Services International (Schaaf- en Boorwerk Rotterdam B.V.); a brand new set of three AL 7075-T6 clamp band rings and an AL 6082-T6 fairing. 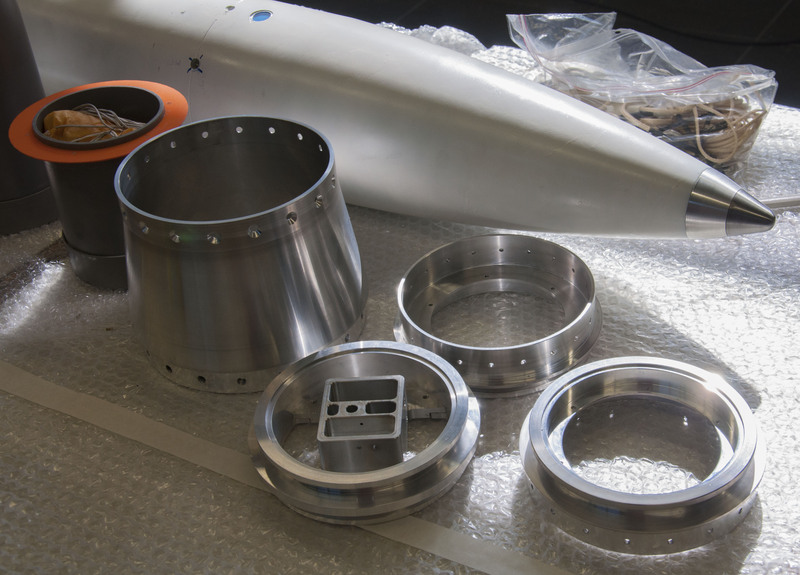 These are crucial structural components for the Stratos II rocket and thus the highest degree of accuracy and finishing are required. The clamp band rings form three vital components for the mechanism that will separate the capsule from the motor to eject the drogue and main parachutes. 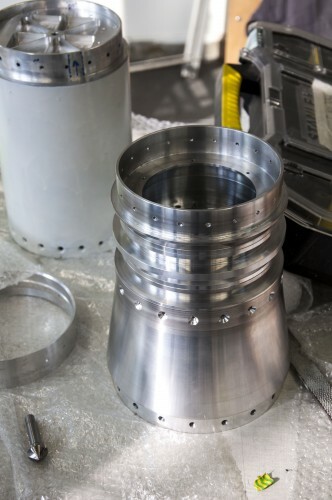 Since these rings will have to transfer all structural loads over a separable interface, they were made from aerospace grade aluminium and with tight tolerances on the interfacing surfaces. The body-nosecone fairing put together. The fairing forms the transition between the outer diameter of the capsule and the motor. Since this change in diameter has significant interaction with the airflow, here tight tolerances were also in order. GBS Gearbox Services International consists of three recently merged companies that specialise in maintenance, repair, inspection and commissioning of gearboxes in industrial applications. 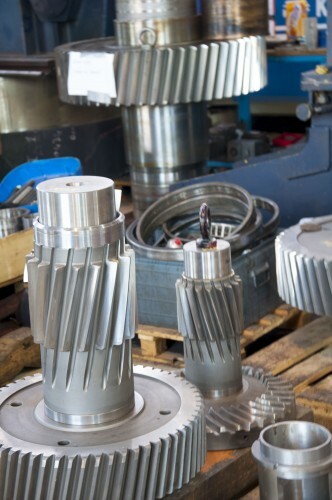 Besides, they have the capability of engineering and machining of large parts.